We’ve all seen people who are confident in who they are, vulnerable, speak their truth, and go through life courageously. It’s easy to think they are called, chosen even to live such a robust life. The truth is, they’ve worked for it and not just by climbing up the ladder of success. They’ve done the inner work if they’re truly living an authentic life. Self-acceptance can be uncomfortable. It means facing some things you might want to overlook. It means speaking some truths you might not want to voice. It also means embracing every part of you. Inside and out. True self-acceptance creates authenticity. That means that our choices are in alignment with who we are. That means we speak our truth no matter who is around. That means others treat us according to how we show them we’ll allow ourselves to be treated. It means pursuing the things we’re not only capable of but worthy of. Self-acceptance is serious business but it also generates serious rewards. It took me a while to own my self-worth. To be comfortable with who I am, who I’m not, and who I want to grow to be. Right now I’m at the point in my life where self-acceptance means I know my worth regardless of who is around me. Whether they judge me or praise me, I know who I am and what I bring to the table. It took me a long time to get to that point, but I’m here now and want others to discover it for themselves. Finding the courage to go down the path of self-acceptance is one of the bravest things you can do. It leads to a place of vulnerability that breeds strength you might not expect. We can only live life as true as we are to ourselves. Have you started your journey of self-acceptance? Feel free to share in the comments. Wishing you all that you need to support you on your path of self-acceptance and authenticity. It is so inspiring Nikki to share your incredible journey. I am slowly working towards it on self-acceptance where the world view doesn’t matter. It’s an ongoing process, I would like to believe. Thank you for this inspiring post. It is on-going, a choice we make every day! May you be more self-accepting tomorrow than you were today ❤ I'm glad you enjoyed it! Thank you so much for the pep words. I love getting older, I feel more relaxed about myself 🙂 I like this post! I’m feeling this right now. Time to evaluate and get some acceptance back into my life. Thank you. So true. Self acceptance came to me a very long long way but it worth the fight and the struggle. I felt reborn. This entire past year I have been working on exactly this, self acceptance and being okay to not always be perfect, especially as a mom and step-mom. 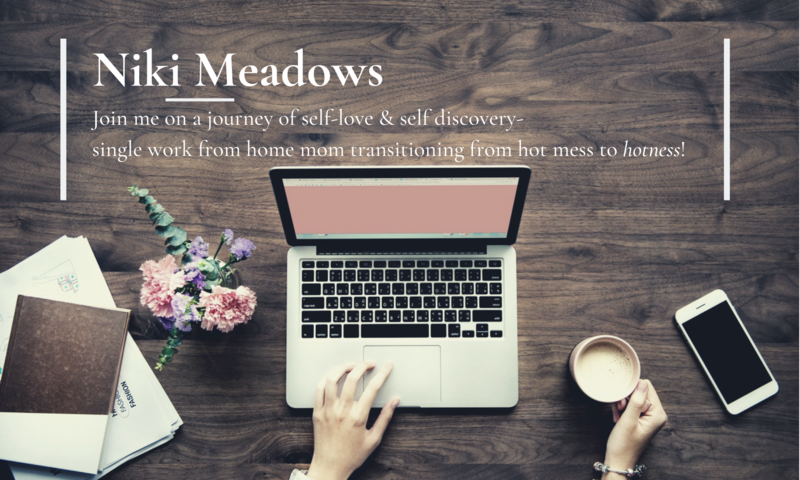 My Inspirememom blog is the greatest motivator and has pushed me into consistent writing and personal research in bettering the self that now I am working on sharing it as well. It is still a work in progress, but am proud of how far I have come in just a year. So reading your journey is greatly inspiring to keep going and building that inner strength.